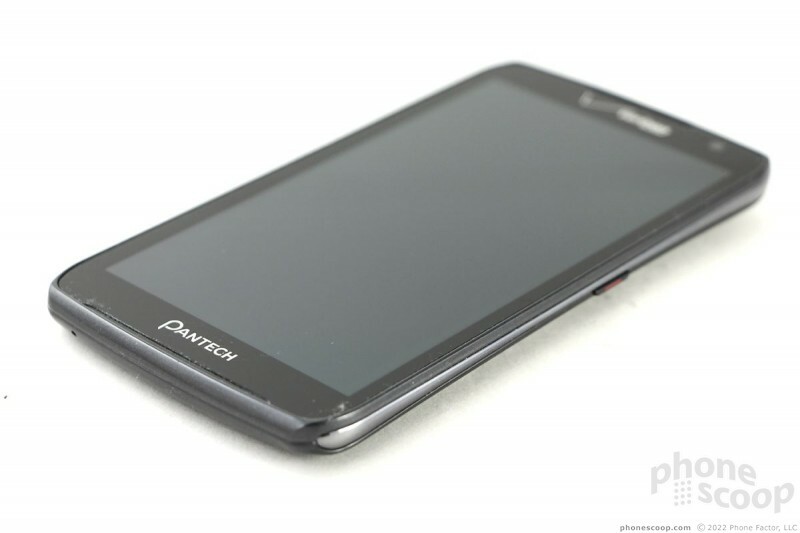 The Pantech Perception is a solid mid-range device that includes some features offered by more expensive devices, such as an HD screen, 8-megapixel camera, and attractive build. If you're looking for a bargain on a device that outperforms its class, look no further than the Perception. 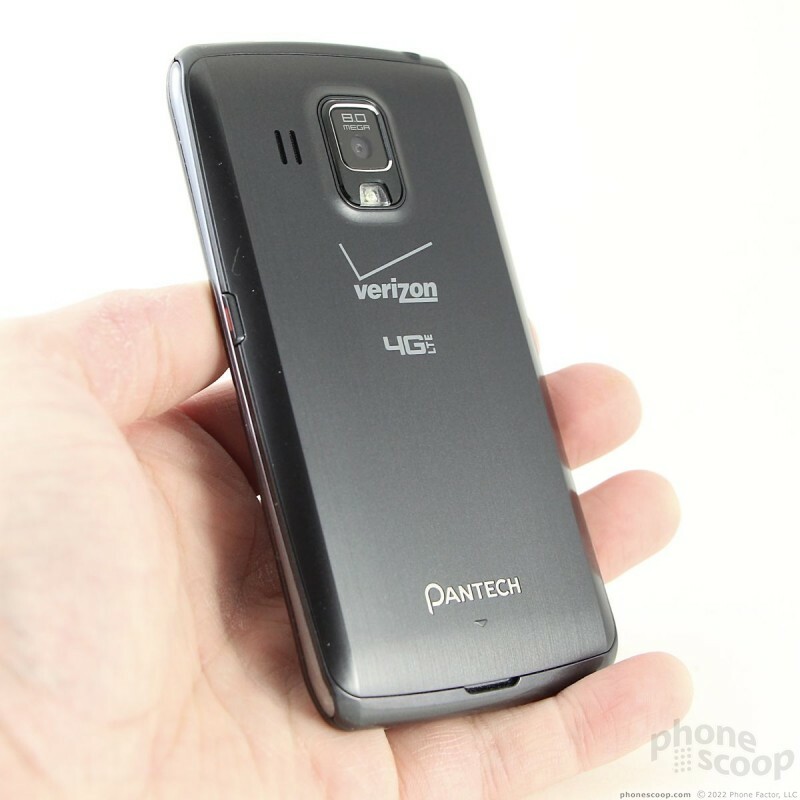 The Pantech Perception for Verizon Wireless is a slim, slab-style smartphone that has a clean and modern design. 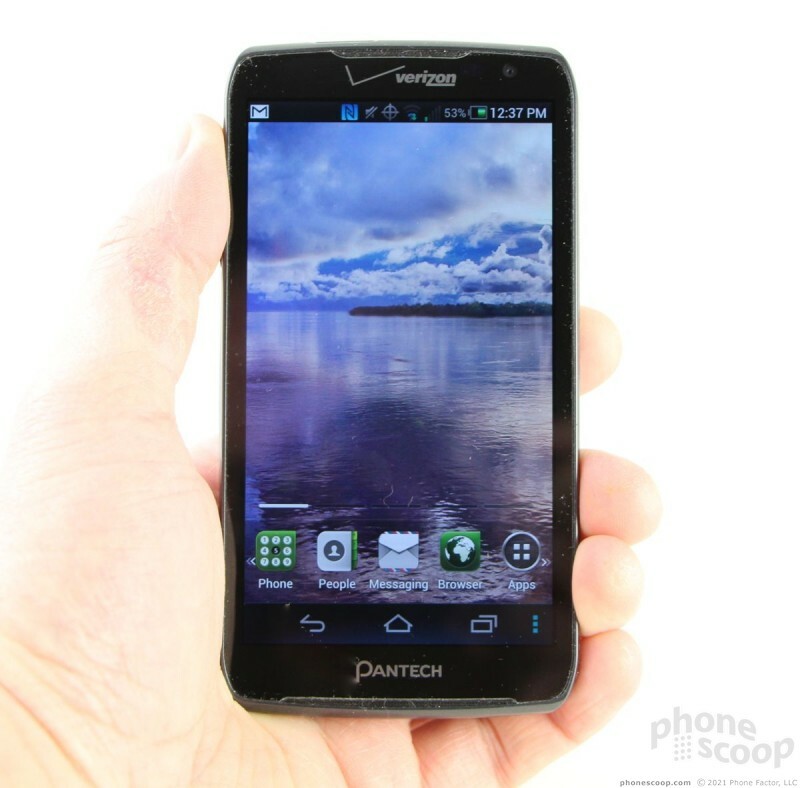 Pantech has really upped its design chops recently, with attractive devices such as the Discover for AT&T. 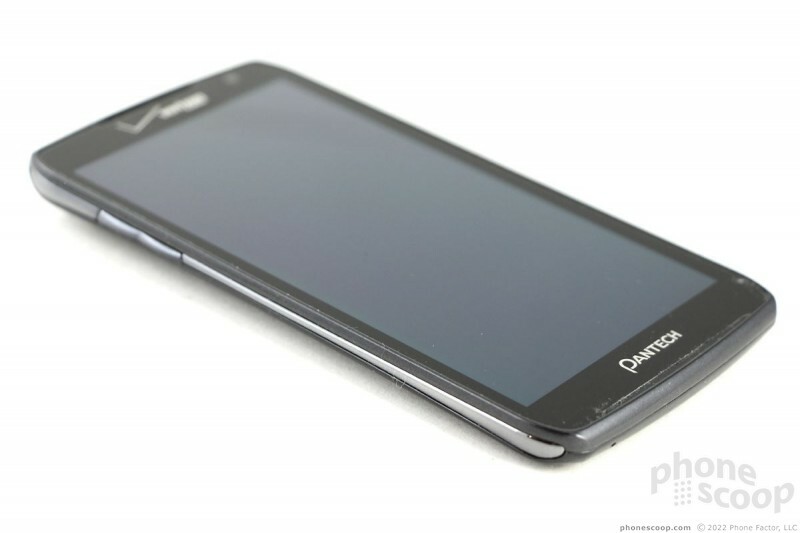 The Perception follows in those footsteps and takes Pantech's design cachet a step further. The Perception is made of glass and plastics, which come in several different colors and textures. The front is solid black. There's a shiny gray band that circles the top, bottom, and side edges. This band is broken up on the sides by a dark chrome slash. The back surface has a brushed metal look to it, but it is obviously not made of metal. It has a conservative look, but in a good way. The Perception feels solid and well built. 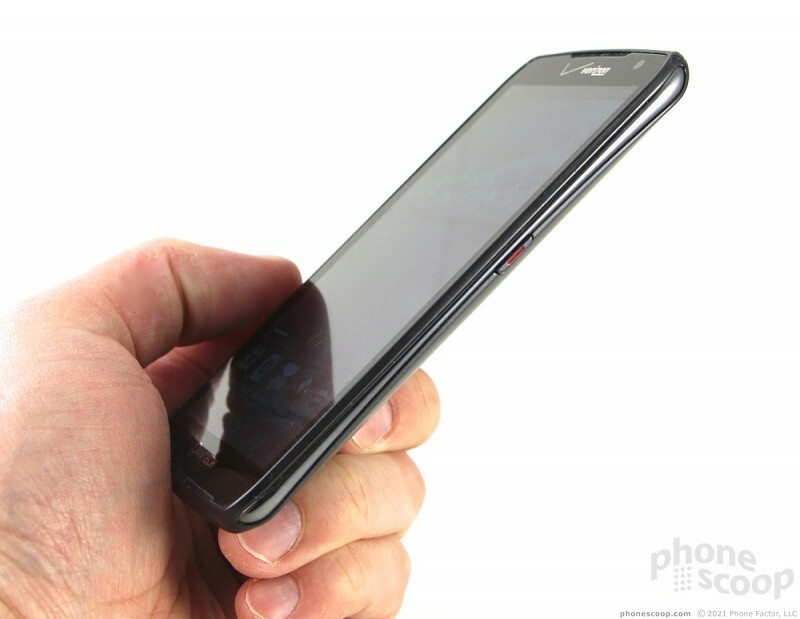 The seams are tight, the materials are of good quality, and the phone is put together well. Like most smartphones with large screens, the Perception is wide. That could pose a usability problem for people who have smaller hands, but I didn't mind it. It's a slim phone that will easily slip into most pockets. The weight is perfect. There is a slight rim that circles the display of the Perception. This rim serves to protect the glass when the Perception is placed on flat surfaces. It also lets your finger know when you've reached the edge of the display, which stretches from edge to edge. 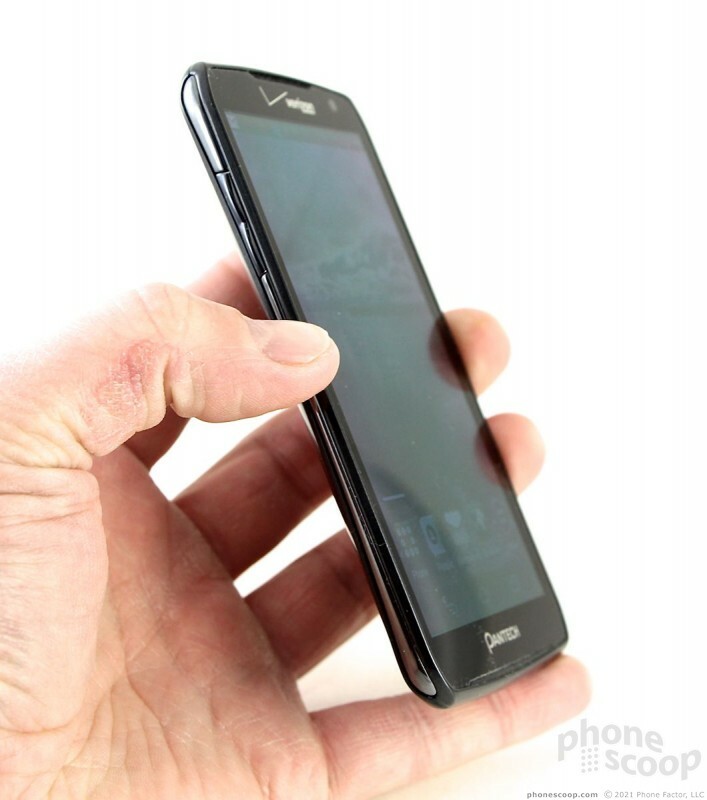 There is a slim bezel above and below the screen, but otherwise Pantech did a great job of maximizing the screen space on the front of the phone. 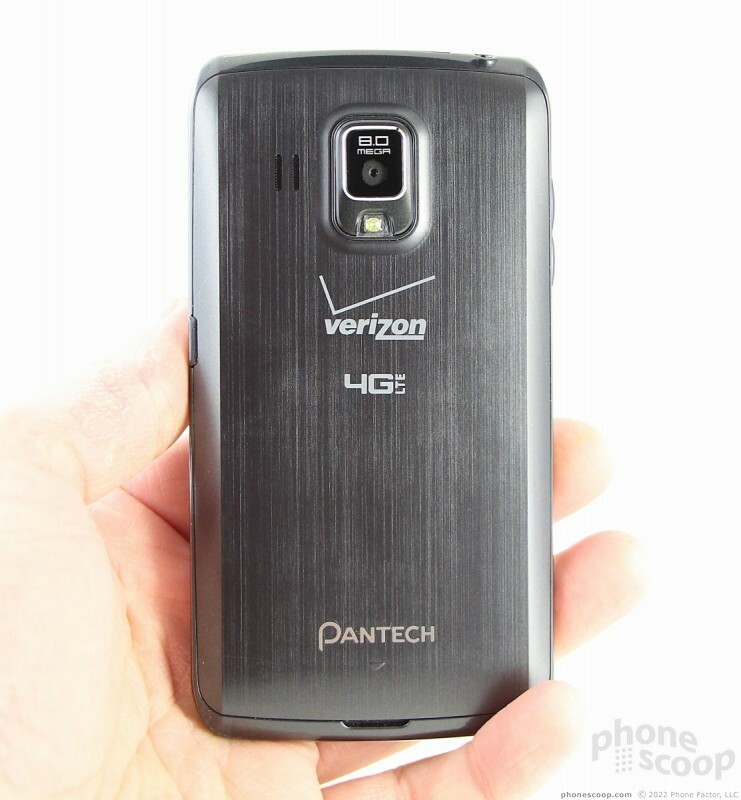 The Verizon logo at the top and the Pantech logo at the bottom are both shiny and reflective and stand out from the rest of the black display. There are slits cut into the glass at the top and the bottom edges for the earpiece and microphone. There are no capacitive buttons on the Perception, as it uses on-screen controls at the bottom of the screen that come and go as needed. Hardware controls are scattered around the outer edge of the Perception in all the usual places. The volume toggle is on the left edge. Each half of the toggle has a nice, rounded shape to it. The toggle is very easy to find, and has excellent travel and feedback. The screen lock button is positioned at about the midway point on the right edge. I wish it were placed about an inch higher up, which would make it less awkward to use when holding the Perception in your right hand. The stereo headphone jack and micro-USB port are both on top. The microUSB port is protected by a hatch, which I found somewhat annoying. I also dislike that the USB port is on the top, rather than the side or bottom, but that's a personal preference. The battery cover has a hole cut in it to accommodate the camera module, which protrudes just a wee bit. Speaking of the battery cover, it forms about 90% of the back surface and peels off quite easily. Replacing it, however, is a bit of a pain, as the clips require real pressure to re-engage. 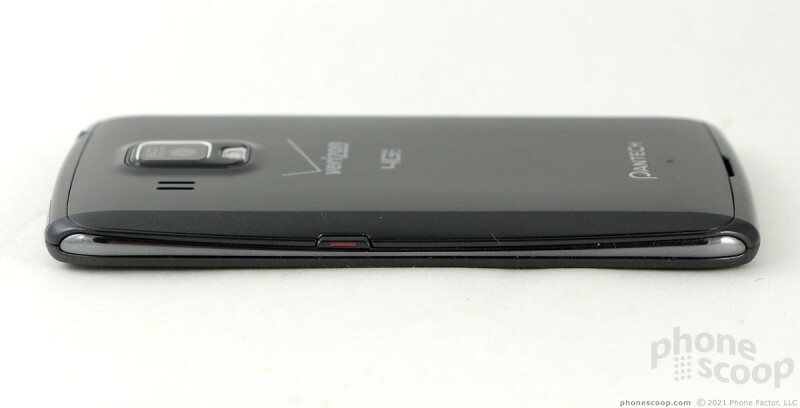 The battery can be removed, which some might consider to be a positive feature. If you want to pull either the memory card or SIM card, you have to first remove the battery. No hot-swapping for you. In sum, the Perception's hardware looks good, feels good, and works well. 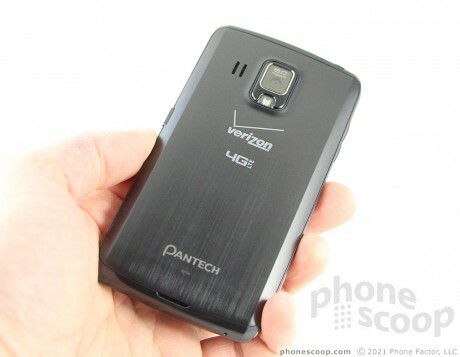 Documents seen on the Federal Communications Commission reveal an unannounced handset from Pantech for Verizon Wireless. The Pantech Perception is a monoblock Android smartphone that the FCC confirms supports LTE 4G in addition to CDMA and GSM for roaming, and Wi-Fi and Bluetooth.